Product #18415 | SKU BNC2BNC-20 | 0.0 (no ratings yet) Thanks for your rating! Extends from 20 to 32"
The CineCoil 20" Coil-Based SDI Cable with BNC to BNC Connectors extends from 20" to 32" and features right-angle connectors allowing for neater connection. 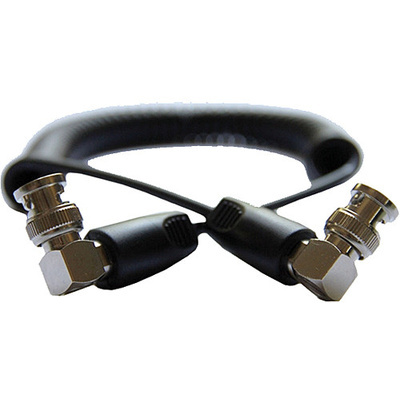 This is a 30 AWG cable supporting up to 3G data rates and providing for secure signal transfer. It is suitable for powerful systems like AJA's Ki Pro and Blackmagic's Hyperdeck Shuttle.